Druanne White founded the firm in 2005. She has been an aggressive trial lawyer since 1985 and has tried hundreds of cases in front of juries and judges. After graduating from law school at the University of South Carolina in 1984, Druanne served her country as a JAG officer in the United States Marine Corps, attaining the rank of Captain prior to being honorably discharged. Following her service in the US Marine Corps, she served the State of South Carolina as an assistant solicitor for 11 years, and then served as the Tenth Circuit Solicitor for four years. Druanne now assists clients in all types of family court matters, including divorces, adoptions, custody disputes, and various other family court proceedings. Additionally, Druanne is an aggressive advocate for clients accused of major crimes, including all types of misdemeanors and felonies.Druanne typically assists clients who are accused of murder, involuntary manslaughter, and other serious felonies and misdemeanors. She frequently defends clients accused of drug-related offenses, driving under the influence, and various other crimes. She has handled hundreds of cases involving homicides, and she has handled thousands of cases involving other major and minor crimes. 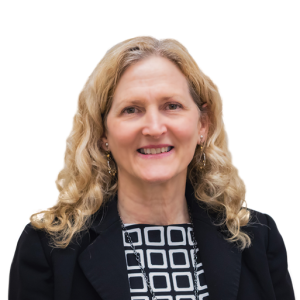 Druanne is also frequently hired by clients in other areas of the law due to her extensive trial experience and aggressive style of advocacy. Druanne has received numerous honors throughout her career, including being elected Prosecutor of the Year by the South Carolina Solicitor’s Association; receiving an appointment from the Governor of South Carolina to a 4-year term on the S.C. Prosecution Commission, which coordinates the state’s prosecution of capital cases; and being awarded the Order of the Palmetto, South Carolina’s highest civilian honor. Druanne assisted in drafting Stephanie’s Law, which the South Carolina Legislature passed to protect abused children. She has testified before the South Carolina Legislature as an expert witness on the topics of capital punishment, jury strikes and felony DUI legislation. Druanne was also called to testify as an expert witness before the United States Senate Judiciary Committee in Washington, D.C.
Druanne can be contacted by telephone at (864) 231-8090 or by email at druanne@wdwlawfirm.com. Wikipedia also has additional information regarding Druanne White’s background.